Styled with rayane sweater and cherrelle jacket . Luxe Japanese fabric. 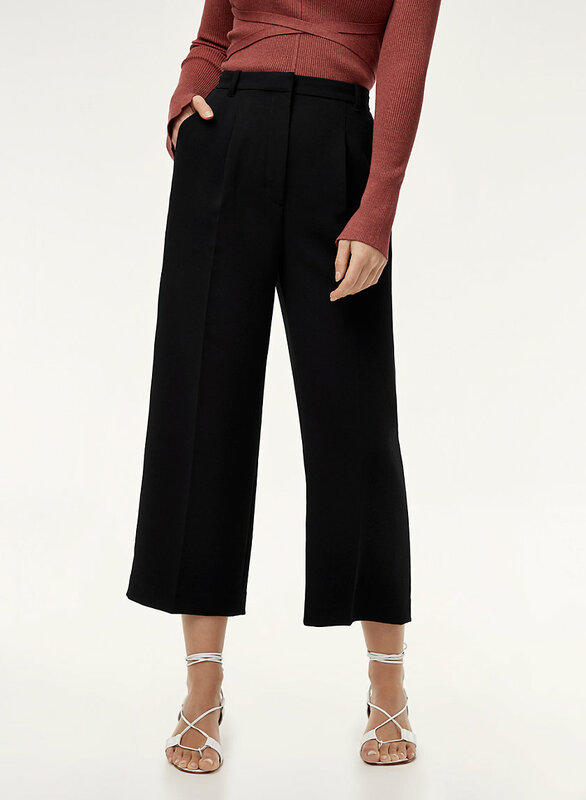 Perfectly flattering drape. 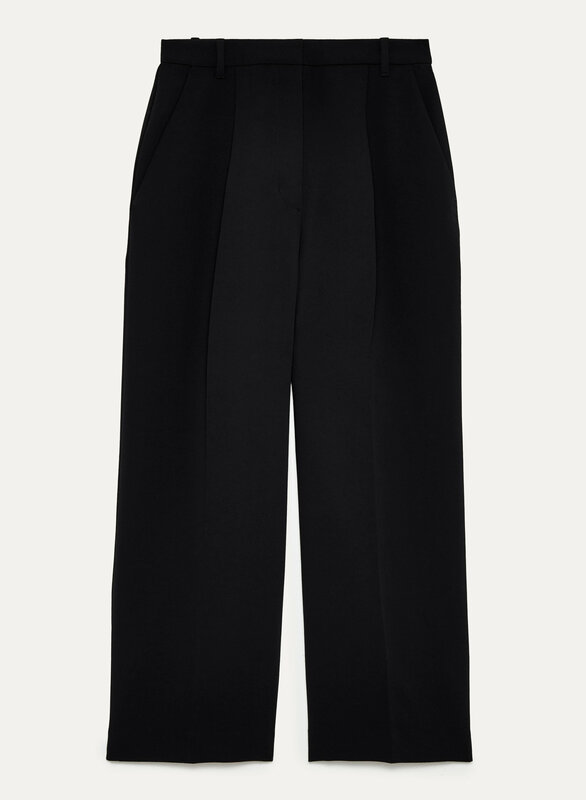 These trousers are made with a luxe crepe fabric from a premier Japanese mill. 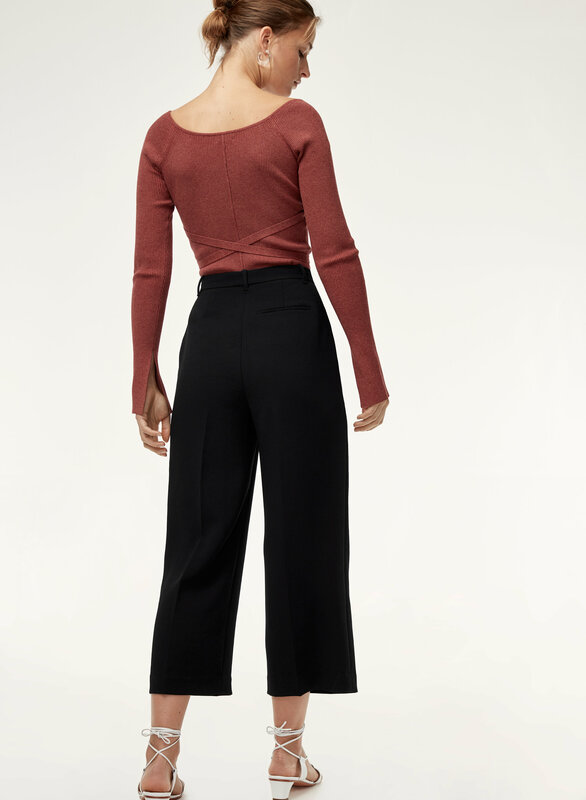 The high-waisted fit and soft pleating make for an easy flattering silhouette.